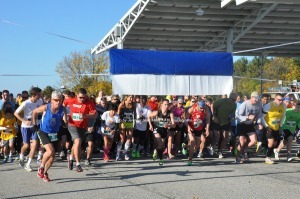 Runners at the start of the race. Photo by Jennifer Jean Miller. 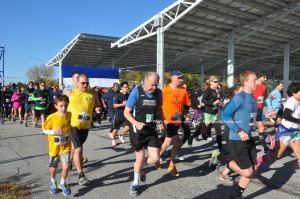 NEWTON, NJ – The Sussex County Community College Skylander 5 & 10K Challenge exceeded its goal of participants, with 351 registered at the event on Sunday, October 5. The original goal was 350, and as of Friday, October 3, the college was just shy of 300 registrants, and at the event itself, 53 showed and signed up. This was the seventh annual Skylander 5K and 10K Challenge for the college and the event benefits the Sussex County Community College Foundation. 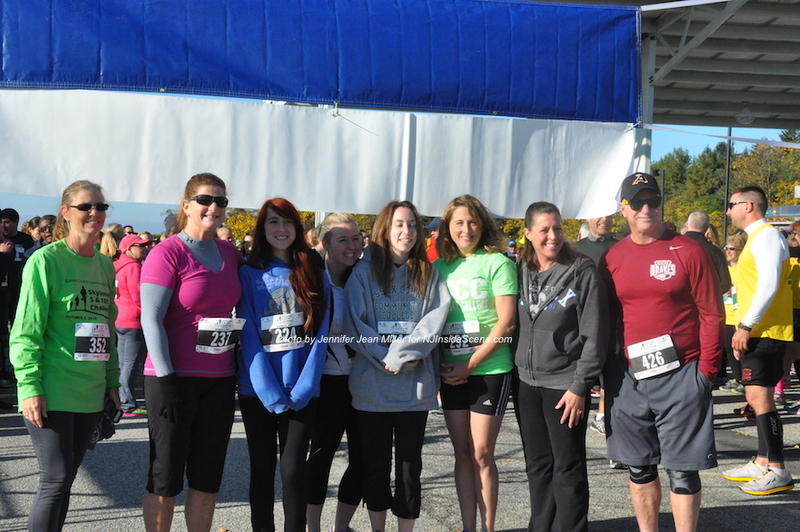 Runners and walkers started at the top of the campus where Sean Oroho sang The National Anthem prior to the race. The day was clear, cool and a typical crisp fall day, with the foliage in the surrounding hills beginning to turn into a stunning autumnal display. Sean Oroho sings The National Anthem. Photo by Jennifer Jean Miller. 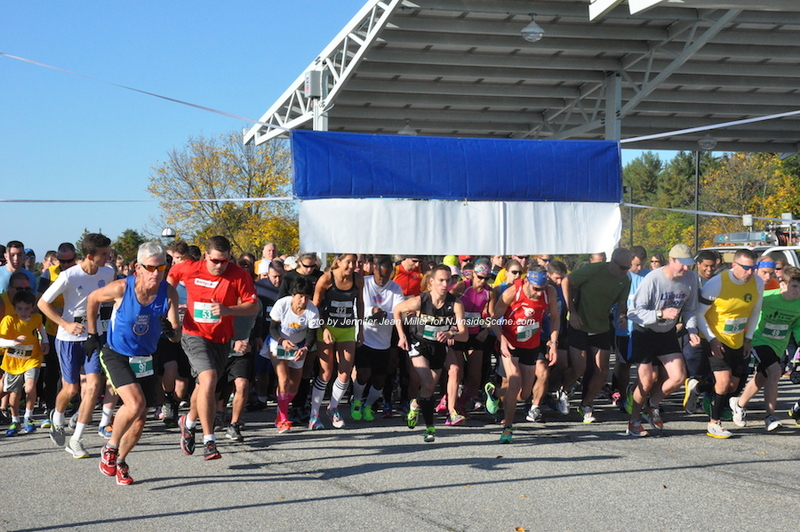 As the race began promptly at 9 a.m. runners, including several in teams, among them, ThorLabs, Team Eastern, Sussex County Community College’s team, a team for Sussex Bank, and a team for Laddey, Clark & Ryan, took off. Both the 5K and 10K runners headed from the top of the campus to Plotts Road to Newton’s Mill Street/Route 519, and then proceeded back onto the campus via College Hill Road. 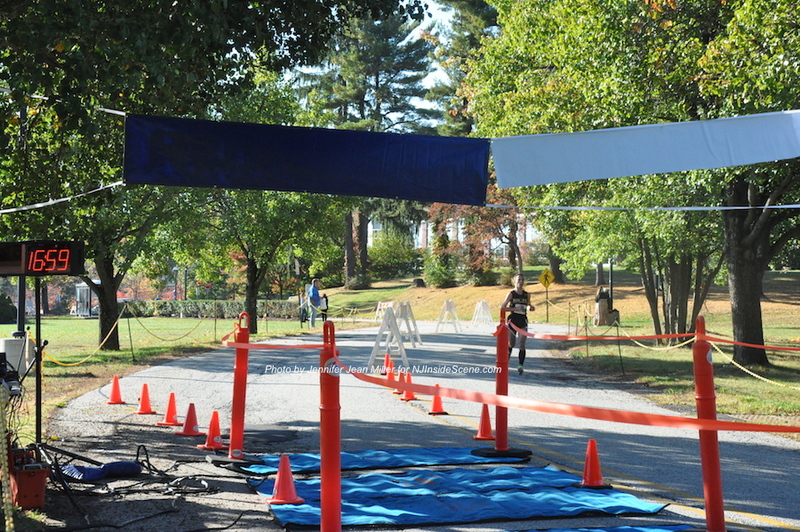 The 5K runners finished their race adjacent to the pond on College Hill Road, while those in the 10K had another loop to complete on the college grounds to finish the race. Team Eastern. Photo by Jennifer Jean Miller. 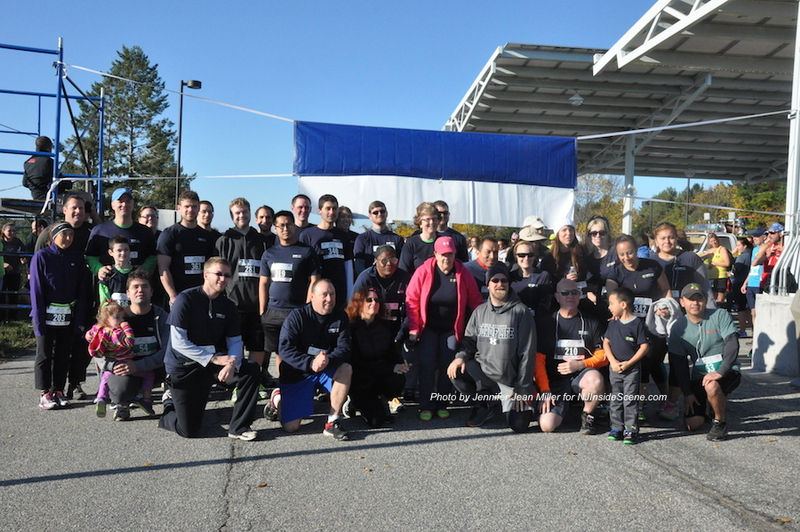 The ThorLabs Team. Photo by Jennifer Jean Miller. 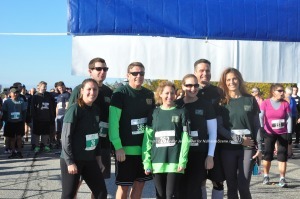 The team from Laddey, Clark & Ryan. Photo by Jennifer Jean Miller. Sussex County Community College’s Team. Photo by Jennifer Jean Miller. 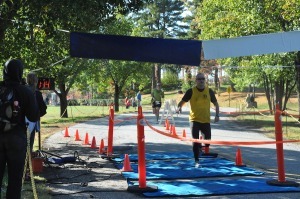 The first runner visible in the entire race, who was 10K participant Mark Minervini, passed the finish line to continue on the course at about 17 minutes. 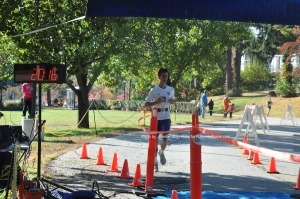 The first place finisher of the 5K was Jack Montgomery at 19:56.4. 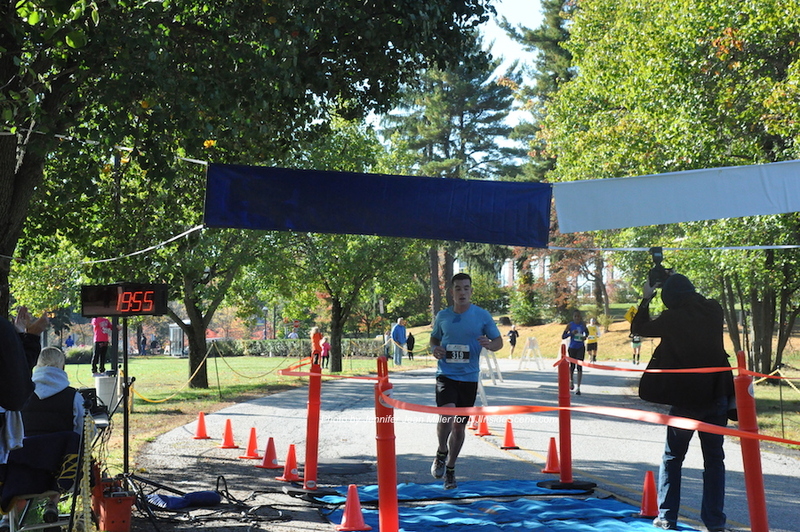 Second place was Sam Dunn at 20:18.1. 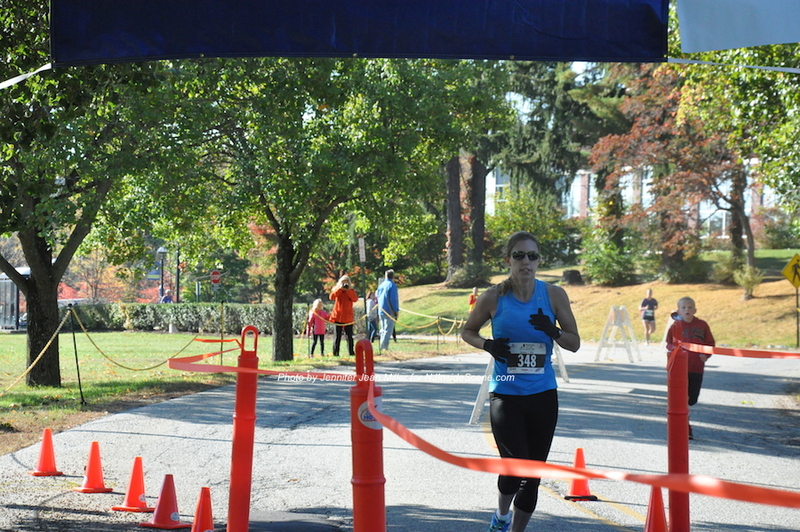 The third overall and first for the women was Tina Santos, with 20:36.5. Third in the mens was Tim Connolley at 21:14.1. 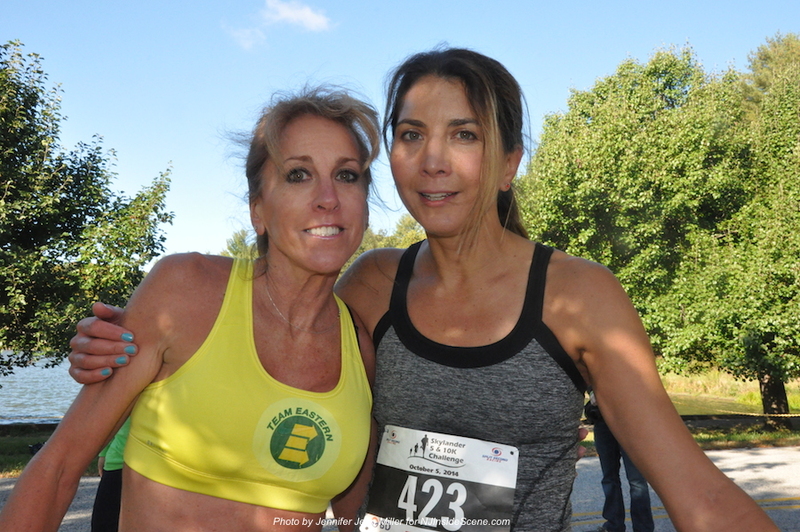 Aleandra Miller was the second place winner for the females at 22:22.9, with Laura Delea only a few seconds behind at 22:26.2. 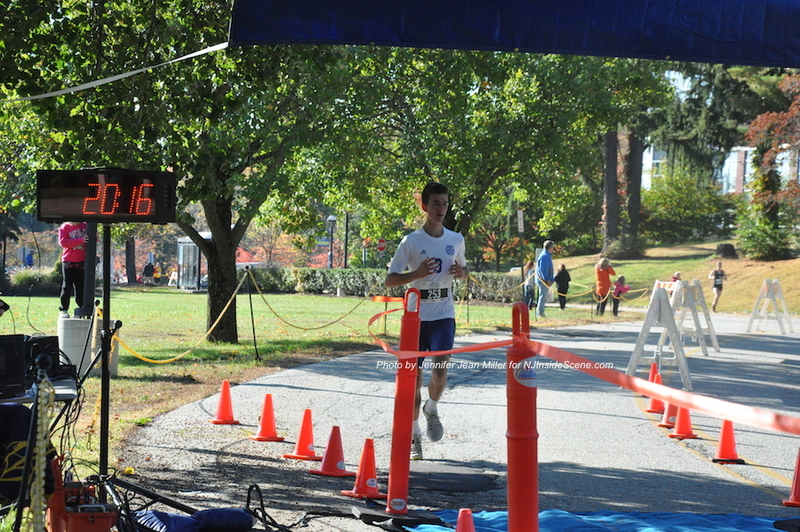 Jack Montgomery crosses the finish line. Photo by Jennifer Jean Miller. Sam Dunn was second in the 5K. Photo by Jennifer Jean Miller. 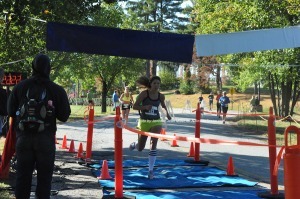 Tina Santos was third in the 5K race overall and first for the women. Photo by Jennifer Jean Miller. Tim Connolley was the third place winner for the 5K. Photo by Jennifer Jean Miller. 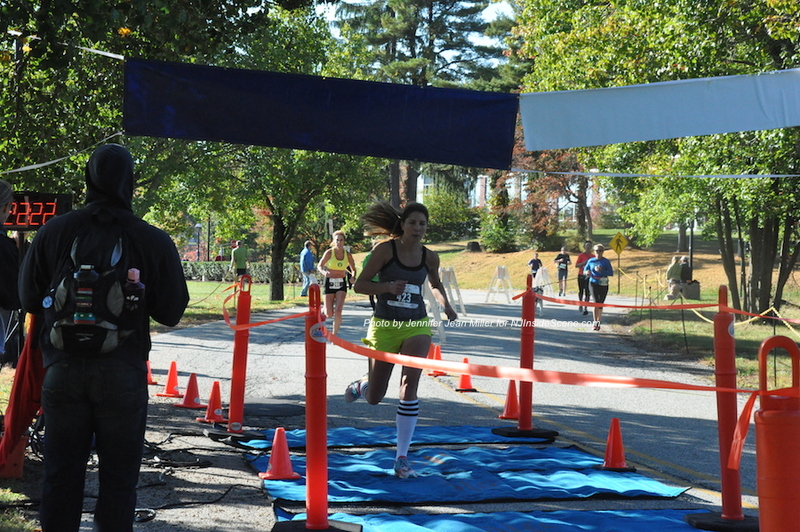 Alexandra Miller crosses the finish line in second for the women, with Laura Delea closely behind her in third. Photo by Jennifer Jean Miller. Laura Delea (left) placed third for the women in the 5K, and Alexandra Miller (right) placed second. Photo by Jennifer Jean Miller. 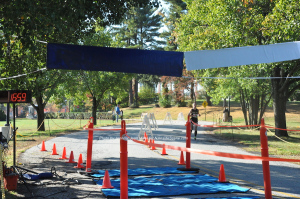 Minervini came in top for the 10K with a time of 39:08:1, with Stephan Albinsson in at 39:39, and third was James Gardner at 40:23.7. First 10K finisher for the women was Sarah Cayan at 45.42.2, Patricia Butcher at 46:44.7, and Meredith Bryne at 47:23.8. 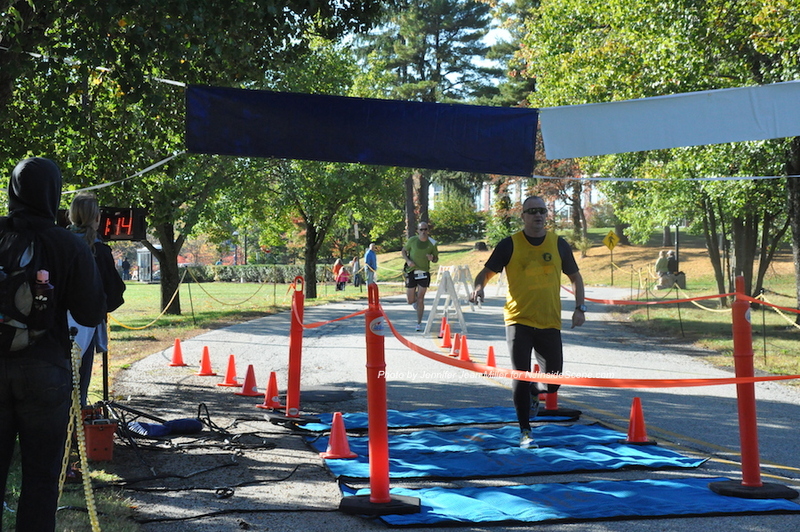 10K winner Mark Minervini as he proceeded through the course. Photo by Jennifer Jean Miller. Top team performers were: Sussex County Community College in third place, ThorLabs in second place, and Team Eastern in first place. Prizes were given out to the top runners, and the top in each age category. Runners taking off. Photo by Jennifer Jean Miller. 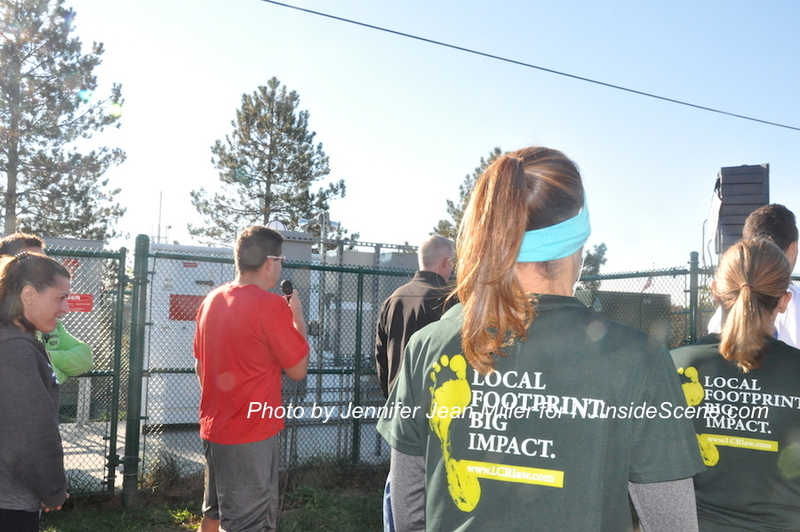 Sponsors for the event included: ThorLabs, Clear Channel/WSUS, Beckton Dickinson, Eastern Propane, Newton Medical Center, Sussex Bank, Ames Rubber, Dolan & Dolan, Wiss & Company, Applebee’s, Morville Agency, Vernon Chamber Charities, R. Poust Heating & Cooling, Professional Tire & Auto, Coppola Services, D&H Alternative Risk Services, Barnes & Noble College Booksellers, Mugs Media, and the Newton Rotary Club. 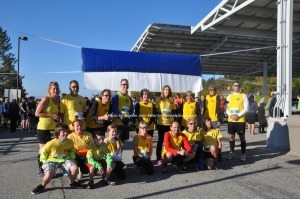 Runners of all age groups and skill levels participated in the event. Photo by Jennifer Jean Miller. 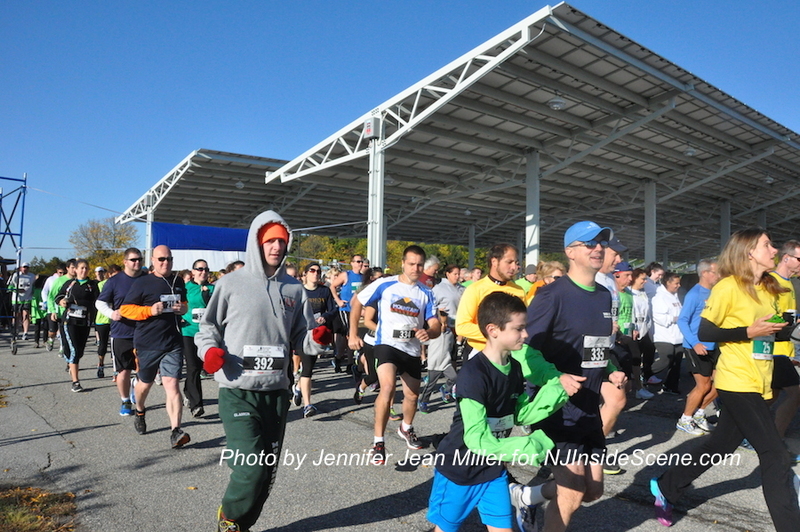 The college also thanked the following groups for food and beverage donations for after the race: ShopRite, Walgreens, Walmart, Weis Markets, Costco, Bagel Station, Hinkley Auto, Stop & Shop, Bag Full O’ Bagels, Villa Capri, The Chatterbox Drive-In, Yetter’s Diner, The New Jersey Herald, Valley National Bank, and Heaven Hill Farm. 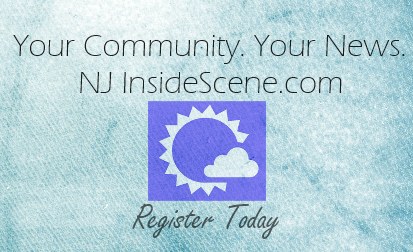 Stay on the scene with NJ Inside Scene at events like this, and click here to follow us on Facebook.